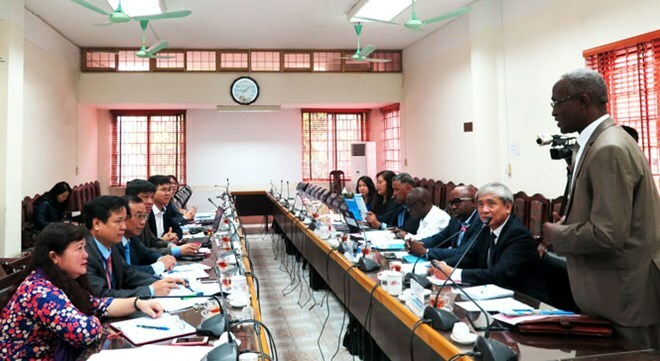 Thai Nguyen (VNA) – A delegation of the Ivory Coast Government on March 27 visited the Thai Nguyen University of Education in the northern province of Thai Nguyen to study the university’s experience in training teachers as well as its education-training strategy amidst international integration. They were briefed on the school’s training methods and job opportunities for students in the context of international integration. The guests said they would send more experts to the school to learn from its experience. The trip has been made through the World Bank (WB), aiming to materialise Ivory Coast’s education strategy and policy by 2030. While in Vietnam, the delegation will also make field trips to schools in Hanoi and the northern province of Ninh Binh.